The Bombers shook up the Oceania Pro League heading into 2019 and have now staked their claim at the top, sweeping Order 3-0 to win their maiden OPL title. It’s the first time anyone on the Bombers lineup has won the OPL, and the team will make their first appearance at an international event after claiming an invite to MSI. After importing unknown Korean jungler Choi “BalKhan” Hyun-jin for 2019 on top of gutting their roster entirely, the Bombers formed a superteam that steamrolled the OPL, dropping only two games throughout the first split of 2019. Game one saw Bombers dominate Order in lane with solo kills happening all over the map while Order struggled to keep afloat. But a decisive teamfight underneath their own Nexus kept Order in the game at 25 minutes, before stalling out for another 10 minutes against all odds. The Bombers managed to finish the game off the back of a scrappy backdoor as Order just couldn’t keep them away. Game two, BalKhan showed why he was rookie of the split, doubling Order jungler Sam “Spookz” Broadley’s farm in the first four minutes before ganking with a two-level advantage at six minutes to negate Order’s first blood. Finishing with a 9/2/8 scoreline, BalKhan’s Jarvan IV enabled Victor “FBI” Huang’s Kog’Maw as they cleaned up their end game to close it out within 30 minutes. Game three saw Order jump out of the gates with a perfect start, getting two kills onto Ronan “Dream” Swingler’s Vayne on an early invade. But a Bombers tower dive at level three swung the momentum firmly back in their favor. A back-and-forth mid-game was turned around by the Bombers at the 30-minute mark with Min “Mimic” Ju-seong’s Kennen shredding Order before FBI cleaned up house and stormed down the mid lane to take the game. 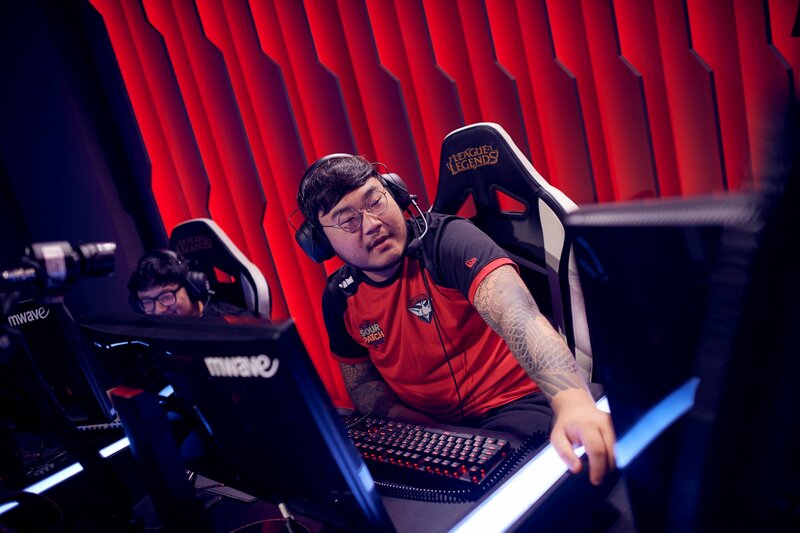 Mimic also claimed MVP for the split after a phenomenal season with the Essendon Football Club-backed team—he finished with a 9.52 KDA and 54.1-percent kill participation across their 24-game season. This is a monumental win for the Bombers, who will represent Oceania for the first time internationally. It’s also the first time in two years a new champion has been crowned in the OPL after the Dire Wolves finished split one with only one win in 21 games. The Mid-Season Invitational starts on May 1.